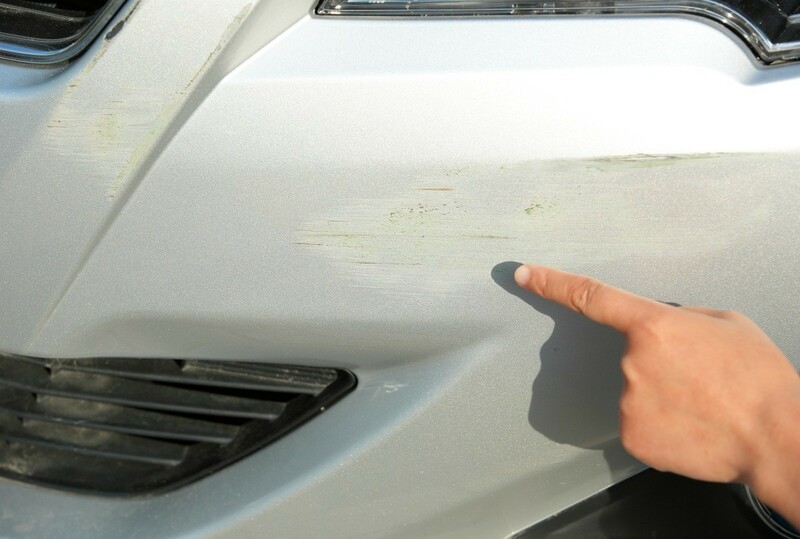 Car bumpers can be damaged in an accident or even in the mall parking lot. This is a guide about fixing a scratched car bumper. When I was parked, someone caused damage to my car bumper. I have a deep gouge. The black undercoating is now visible. It is just cosmetic, but I would like to fix this. Is it possible to do it myself? Thanks in advance. You could go to an auto parts store and buy an over the counter product that would fill the gouge then you would sand it smooth but the problem would be in matching the paint. The spray cans do not match the oem paint plus all cars today have a clear coat over the paint so that would have to be also applied. And the job would look terrible. Having worked in this business and it is a small job, to have it done properly and you would be happy with the results take it to a body shop.However if you don't care if the paint matches then by all means try it yourself. Most car manufactures sell small bottles of touch up paint for newer car models. If you live in California Pep Boys sells a variety of paint that covers major car models and for several years.